Welcome to the website of Trimsaran Community Council. The earliest record of mining in the Trimsaran area is from the 1600s, when coal was being extracted in Carway. By the 1970s the area saw further coal-mining and also the building of the first major canal in south Wales, transporting anthracite and culm from pits near Trimsaran to the harbour at Kidwelly. By 1896 Trimsaran Colliery employed 144 men and produced both anthracite and fireclay. The industry and the village continued to grow hand in hand, until 1931 until the workforce of the colliery was over 700 men. But coal was not the only industry to shape the look of the village. In 1909 one of the most ornate terraces in Trimsaran was built specifically to show off the products of the Trimsaran Brick Co. This had been an operating brick works since around 1900. Although the drift mines were closed in 1954, there was later open-cast mining here, up until 1997. This land is now undergoing major redevelopment and will include new housing as well as a race-course and grandstand. Whilst Trimsaran is a typical colliery village there is a much longer history and the earliest evidence for human occupation in the area dates back over 2,000 years. Three Iron Age defended enclosures are recorded in Trimsaran community. These are thought to be the remains of farmsteads, enclosed by a bank and ditch. 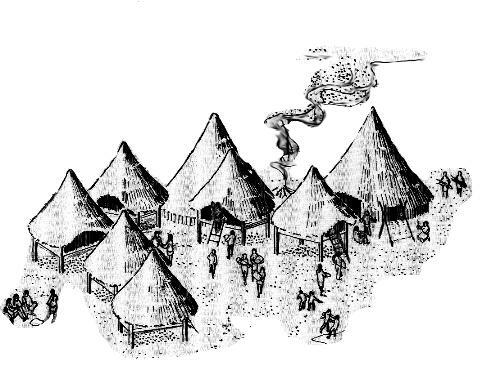 They would have contained roundhouses, both for living in and also for crop storage. Documents from the 14th century record three settlements. Muddlescombe, Cilferi and Cilrhedin. The site of Cilferi has been lost to the open-cast mining but a farm called Cilrhedin still stands outside the village. Parts of Muddlescombe also survive. 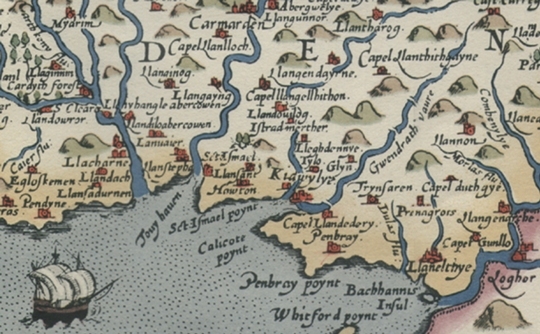 Now a farm between Kidwelly and Trimsaran. Muddlescombe was once owned by Griffith Dwnn. He fought at Agincourt in 1415, became receiver of Kidwelly in 1427 and rose to become sheriff of the county from 1432-35. Most of his descendants also held high office and Francis Mansel, High Sheriff in 1595 and 1611, was made a Baronet. By the 18th century the Mansel family had made their home at Plas Trimsaran, the house now sadly lost, was described by the preacher John Wesley as having “a few large handsome rooms”. Pont Spwdwr (Spudders Bridge) also dates back to the 14th century although parts were later altered. Later still the bridge was ‘turnpiked’, meaning that a toll was payable to pass it. 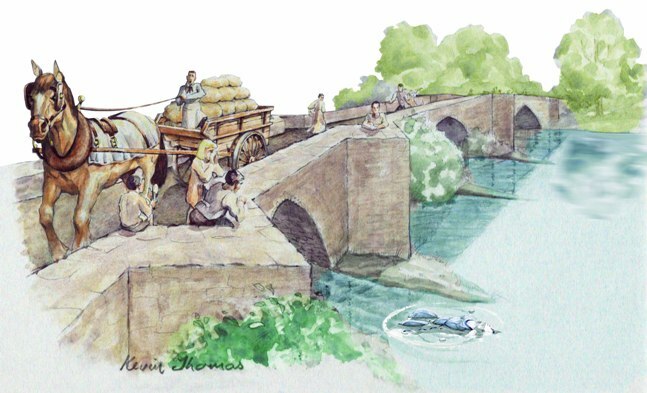 In the 1840s Carmarthenshire saw a series of uprisings against the tolls, known as the Rebecca Riots. An old woman who kept the toll-gate at Pont Spwdwr was apparently killed during these riots..